Are you trying to find the right business security system Houston TX solution for your office or workplace? Perhaps you’re ready to start making sure you don’t have to worry about breaches of your commercial security. While you might feel like your business is secure, it’s always good to properly make the most out of its security measures. Call in Mega Systems Security for more information on our services. Our Houston TX commercial security experts are ready to help you with your problems. When you’ve got a commercial setup that doesn’t make sense for your safety and security, it can really get the best of you. Keeping you and your team safe is a huge priority. Your business is your biggest investment, and you may find yourself needing some help to get out of your security breaches. Our team understands how to provide top notch commercial support that keeps your office and warehouse in great condition. Give yourself the ability to monitor your business from wherever you are by contacting our servicemen for more details. We can give you an inside look at your office or workplace and a way to access your feed at all times. Mega Systems Security offers CCTV camera installation and a wide variety of remote apps that give you access from everywhere you are. As a leader in your workplace, it’s most likely important that you know how your team is operating. With this on your side, your check-ins will be easier than ever. If you’re in business, you probably have a number of electronic devices lying around your home and office. Are you an owner of iPhones, Android smartphones, tablets, and laptop computers? If so, you won’t ever have to worry about not being able to access your feed. With these devices around, you’ll be able to use applications along with a traditional web browser to access your footage. This makes it convenient and easy for you to make sure you’re always in touch with what’s going on with your company. We have the right Business Security System Houston TX professionals who have your best interest in mind. Technicians are here for you when you’re trying to properly secure your commercial structure. Offices and warehouses are without a doubt critical when you’re looking for a way to have a successful commercial headquarter. If you need some help installing top notch security technology, call us today at 713-668-8818. Are you unsure of what you need to secure your commercial workspace? If you’re unsure of what needs to go into your setup, you may not know what to do. There are a lot of different factors, and you’re going to want some help when you have security problems. Make sure you trust our mobile technicians to help you with your customized solutions. Our onsite consultations are here for you if you’re trying to find out your own unique answer to your difficulties. Check out our services if you need more information on what we do. Our team understands your privacy and security concerns, and we want to alleviate any doubts or insecurities you might have. We’re proud to say that we keep playback footage and other settings completely in the owner’s hands. We won’t sell your information or use anything less than our standard, high quality security and encryption measures. Our security staff understands what this takes. We’re ready to keep your security in control while giving you more power throughout the workday. 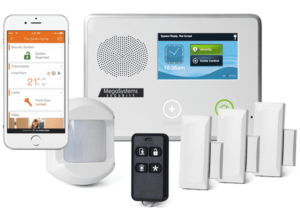 Security systems in Houston TX are incredibly important. You’re going to need to make sure you’re able to handle your security measures in the best possible way. You never know what might happen with your commercial structure, and we’ll be there for you when things go wrong. Contact us for more info on our alarm monitoring systems and services as well. Mega Systems Security is ready to help! Mega Systems Security wants you to be able to have the best prices for the best products and services. 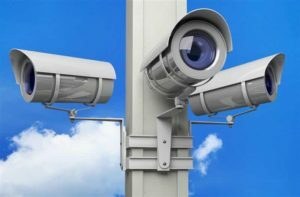 Are you beginning to see that you’re not getting the most out of your current Houston TX commercial security services? If you’re ready to make a change that will bear results and enhancements, we can help you out. Our mobile technicians can provide you with customized consultations that make the pricing for you much more accurate. Our Business Security System Houston TX services are perfect if you’re ready to start making the most out of your workplace. Keeping this area protected at all costs is something that will have to be on your mind if you want to maintain your safety and security levels. Make this easier than your current assumptions b calling in Mega Systems Security for help. Our onsite consultations are perfect for developing a special solution to your predicament. You can reach us at 713-668-8818 for more information on the services and installations we offer. Information About Our City: Houston! The Houston Livestock Show and Rodeo is one of the biggest events held in our great city. If you’re a fan of animals, live concerts, and fun carnival games, this is a perfect event for you and your family. Check it out! The Houston Rockets, Texans, and Astros are the major professional sports teams in our city. We host these organizations proudly, and we think you’ll enjoy their excellence. Catch a game if you get the chance! With over 90 languages being spoken in our city, Houston is a very diverse city. Perhaps the most diverse in the nation? Only time will tell.